400 Years Ago Sir Walter Raleigh Searched For El Dorado ... Today It Was Found. 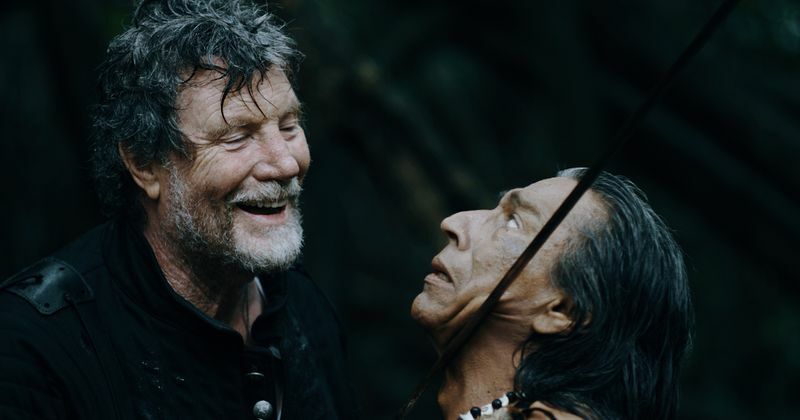 Vernon Wells (The Road Warrior, Commando, InnerSpace), Christopher Atkins (The Blue Lagoon, The Pirate Movie) and Branscombe Richmond (“Chicago Med”, The Scorpion King) star in "The City of Gold," on VOD December 4 and DVD January 1, 2019. Despite their philanthropic intentions, the mission proves to be the harbinger of something dark and ominous rooted deep within Jonathan. From High Octane Pictures, "The City of Gold" on VOD December 4 and DVD January 1, 2019.